Your smart plug can be controlled through your existing Wi-Fi network via our well-designed app Smart Life. Download the app to your smartphone or tablet and have access to turn your home devices on/off and set schedules when you're away. 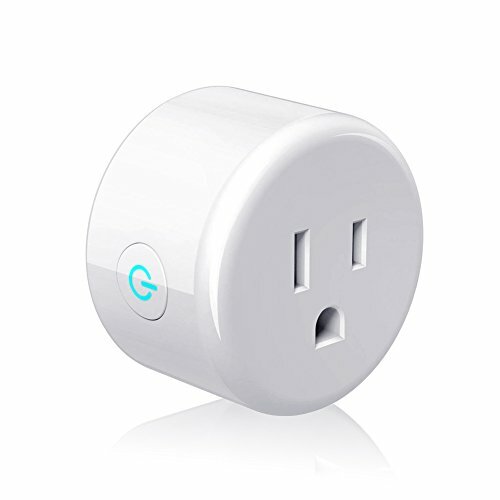 With this smart plug, you never leave devices running when you are not at home. You can set a timer for the smart plug to turn off its appliance automatically. The smart plug helps you keep up with your busy life, saving your time and power. ✔Smart Control from Anywhere: Lightstory smart plug works with Alexa accessories and Google Assistant for voice control. Turn electronics on/off from anywhere with mobile devices using the Smart Life app. ✔ Stay on Schedule: With this smart outlet, you can create on/off schedules, timers and countdowns or set electronics to work around dawn and dusk. ✔Easy to Use and Install: Compact design blends into your power outlet without blocking adjacent sockets. No hub or accessories required. ✔Share with Family: Once the smart plug is bound to your phone, you can share it with all family members in a minute. Family members do not have to bind the plug to their phones again. ✔Create Groups: Give each smart plug its own unique name and combine multiple smart products into a single group for easier control. If you have any questions about this product by LIGHTSTORY, contact us by completing and submitting the form below. If you are looking for a specif part number, please include it with your message.